'Prospecting Ocean' explored contemporary challenges facing the World Ocean today. It painted a broad and complex picture, entering behind the scenes of policy-making forums, diving into economic and financial motives, and presenting scientific explorations and intellectual efforts. The exhibition also examined the ways legal rules are developed and the future prospects for improving regulations regarding the status of the oceans. 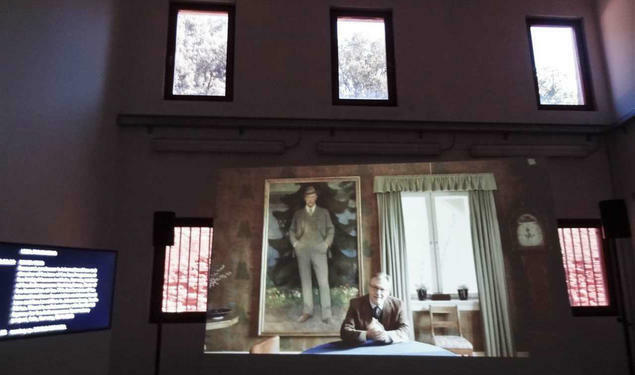 Exhibited in the Neo-Renaissance Villino Canonica of the Institute of Marine Sciences (ISMAR) of Italy’s National Research Council, ‘Prospecting Ocean’ included several multichannel video installations, a series of photographs, and a selection of key documents and books from historical libraries and private collections. 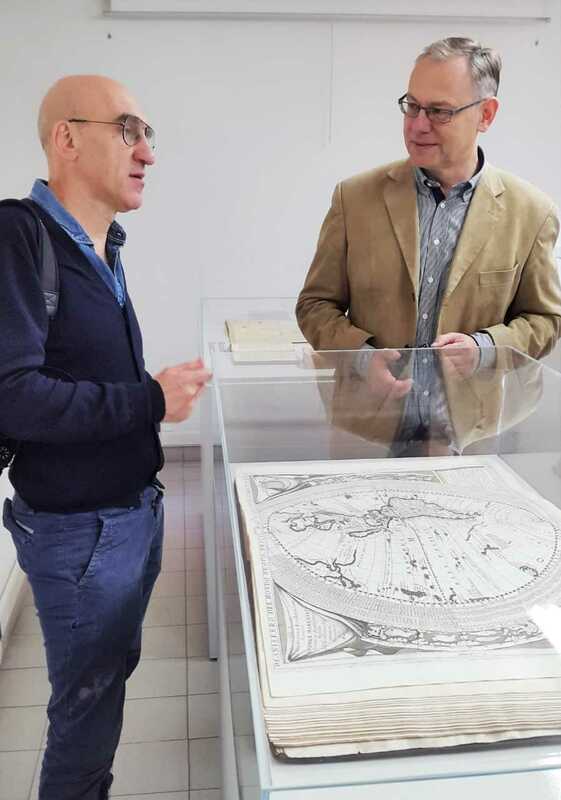 Exhibits ranged from the original editions of Hugo Grotius’ Mare Liberum (1609) and Vincenzo Maria Coronelli’s Venetian Atlas (1690–1701) to installations showing interviews and lectures by several of today’s leading policy-makers, marine scientists and law of the sea scholars. Among the exhibits were also excerpts from a lecture on the Anthropocene, sea-level rise and the law of the sea by FNI Research Professor Davor Vidas. Preparations for the exhibition took Linke several years, during which time he immersed himself in the work of prominent scientists involved in ocean studies, as well as the proceedings from international decision-making and legal bodies, including the United Nations, the International Seabed Authority, and the International Tribunal for the Law of the Sea. He also followed academic debates, such as within the International Law Association. One of the inspirational triggers for this exhibition was a visit to the Fridtjof Nansen Institute in November 2013, together with my colleagues John Palmesino and Ann-Sofi Rönnskog of the Territorial Agency, to film an interview with Professor Davor Vidas. Through this, I became aware of the implications of international law regulation for the oceans, its history and development. We also received advice from Davor Vidas regarding ocean-related international institutions that would be interesting to approach for filming, and key legal texts that could be included among the exhibits', Linke told FNI. In order to be able to present our research on the law of the sea – such as on issues related to sea-level rise and the Anthropocene – to a broad and diverse audience, traditional means of dissemination familiar to researchers are often insufficient. We must look innovatively not only at research issues but also at channels for their dissemination. I personally find the opportunities for communicating research on oceans through the lens of art and culture to be very rewarding. Armin Linke’s exhibition Prospecting Ocean proves this in a most effective and also highly aesthetic manner’, explained Vidas. 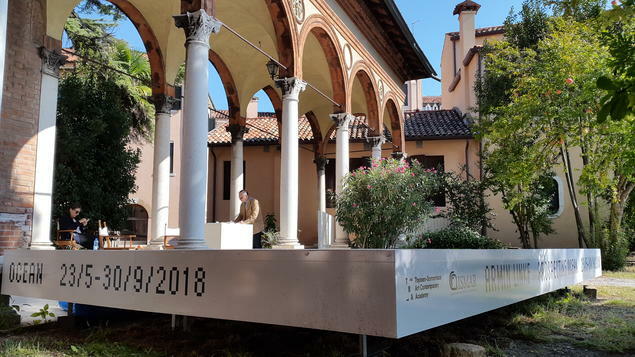 'Prospecting Ocean' as commissioned and produced by Thyssen–Bornemisza Art Contemporary (TBA21), in partnership with the Institute of Marine Sciences of the National Research Council of Italy (CNR–ISMAR), and was curated by Stefanie Hessler. For more information about the exhibition, you can read this interview with Armin Linke.